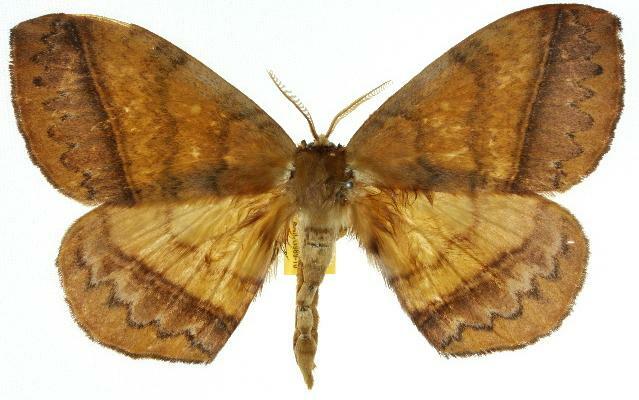 The adult moths of this species have brown forewings, each with various markings including two dark-edged spots near the costa, separated by a straight pale-edged dark diagonal line. The hindwings are brown, each with a submarginal arc of six large dark teeth. The wingspan is about 12 cms. This moth looks remarkably like Chelepteryx chalepteryx. Series 2, Volume 6, Part 2 (1891), p. 286.